Email verification software ensures that email lists and campaigns are sent to legitimate email addresses. Users upload email lists to these platforms and the products can verify these lists in a number of ways. Email verification solutions can recognize accurate email address and domain structure, and some products can check a mailbox against an internet service provider to see if it exists. Users should be able to download the results of the email verification process and receive the most up-to-date and clean email list. Email verification software can be used by marketing teams to improve email campaign performance, deliverability, ROI, and user engagement. These products typically integrate with email marketing software, which businesses use to send out campaigns to their customer base. Email Verification reviews by real, verified users. Find unbiased ratings on user satisfaction, features, and price based on the most reviews available anywhere. TheChecker makes it easy and affordable for businesses to protect their email sending reputation and avoid inbox delivery issues that lead to loss of sales opportunities. Leading online email validation system to ensure that companies sending complex and high volume email achieve better deliverability. ZeroBounce removes invalid email addresses, eliminates bounces, validates IP addresses and verifies key recipient demographics. 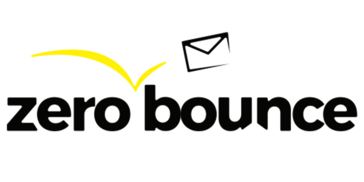 Over 100,000 users trust NeverBounce for their real-time email verification and list cleaning services. NeverBounce ensures companies reach their customers by dramatically increasing the delivery of their emails to the inbox. By checking if email validity against a database of 6 Billion emails and removing outdated email addresses, NeverBounce improves deliverability and helps businesses adhere to strict email provider guidelines. Bounceless.io is the best tool for digital marketers to clean and verify email lists to boost email deliverability for better and effective email marketing campaign. Bounceless.io processes your email lists in bulk in csv, txt or xls format and delivers you the results. Our model is a pay as you go model, you have 100 free credit to get started and enjoy your first verification on us. No credit required to start. Bounceless.io is different then other email verification software, we offer a great interface, a 24 hour customer service, very high deliverability list check up and a low price. Norbert is an intelligent lead generation tool that can find anyone's corporate email address and enrich it with data that drives conversion. 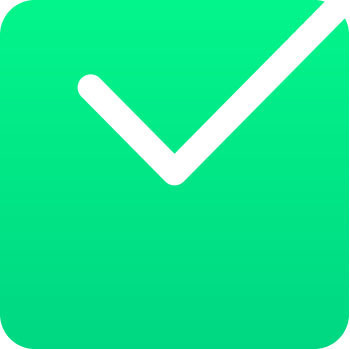 Proofy is an email verification and email list cleaning solution. ollect real emails and connect with your customers with Email Validation. Sending to bad email accounts is costly. In fact, about 8.7% of email addresses entered on websites are invalid, fake or misspelled. Email Validation protects your marketing spend and improves your ROI by catching and correcting invalid data. TowerData's Email Validation can: - Catch and correct poor syntax, spelling and typos - Remove toxic emails, flag role accounts and identify disposable emails - Check domain and ping mailbox - Identify active emails with Open Data Email Validation starts at just $0.01 per email. Emailable automates verification to protect your sender reputation and get more emails to the inbox. This email verification tool actually connects to the mail server and checks whether the mailbox exists or not. MailboxValidator is an easy to use email address validation service to clean up email lists. EmailVerifier.com is an Enterprise grade Email Verification and Email Validation service. It runs multiple email validation checks through our proprietary algorithms and decrease bounced and non-existent emails dramatically. Improve your mail deliverability rates and protect your IP reputation by using our Free Email Verification Service. Captain Verify is a solution to Verify & Clean the validity of your emails very easily. Say goodbye to invalid addresses, wrongly entered / spelled, hardbounces, Return to sender and other spamtraps, honeypots. A simple, fast and secure service to improve your deliverability. Email Verifier is a web based provider of email address verification services. DeBounce service allows you to upload and validate lists of email addresses quickly and in a secure way. MoonMail is an Email Marketing Software Platform to send Email Marketing Newsletters. So simple to use that your grandma could do it. With MoonMail you can easily create and design successful email marketing campaigns. MoonMail provides a comfortable and clean way to analyze your success and performance through clear metrics, reports, and statistics. MoonMail allows you: * Customize and adapt your message using our Template Library * Create your custom design with our easy-to-use drag and drop template engine * Add images, social media icons, and logos with just one click * Monitor and track your performance and analyze the success of your campaigns in MoonMail's Dashboard. * Compare data from your previous campaigns * Choose a multilingual dashboard, enabling you to understand your results better. With MoonMail you can also target customer based on specific attributes and traits. Create multiple lists for targeted group messages and store an unlimited number of recipients. MoonMail also comes with automatic management of email unsubscribes bounces and complaints. Protects your sender’s reputation, decreases bounce rate and improves your deliverability, by not allowing a single undeliverable, risky or unknown email address to sneak into your email list. This is Bouncer! You might clean your email lists with our reliable email verification and list cleaning tool in 3 simple steps. Our superb user-friendly email verification app helps you enhance communication and reach out to a real person with ease and promptness. Our ultrafast and easy-to-integrate email verification API gives your company limitless possibilities to validate emails. Verify your emails in real-time, or use our bulk email verification to clean whole batches at once, and let us take care of your sender’s reputation today! BulkEmailVerifier.com is a SaaS service, which means there is no software to install delivered online by us. Byteplant offers top-of-the-range email validation tools: online easy-to-integrate email verification API, email list cleaning and bulk email validation. Germany-based and trusted by such major giants as Shell, Adobe and Autodesk, Bytepland prides itself in being one of the most secure and thorough email validators on the market, delivering the most detailed email status reports quickly and efficiently. With flexible subscription or pay-as-you-go plans, and tech-savvy customer service team, every business and organization with email marketing list will find Byteplan email validator tool easy to use. DataValidation is an email verification tool that integrates with your favorite email service providers to improve email list deliverability. Experian Pandora is an end to end data management platform for such data-driven initiatives as: Data Quality, Data Profiling, Data Migration, Data Governance, Data Preparation and the establishment of a Single Customer View. HuBuCo is famously the most accurate email verifier on the market. We are proud to guarantee 99%+ email delivery rate to our users. Email list management solution with analytics dashboard, blacklisting and white-listing options for automated bulk email verification. mails.wtf lets you find and verify emails in seconds. Easy to use Interface with CSV export features. Webbula is a data quality platform offering email verification, customer data enrichment and audience targeting solutions. Email Verifier Pro is simple, effective and affordable online email verification solution designed to clean and verify email lists to boost email deliverability for better and effective email marketing campaigns. It will accurately identify whether email addresses on your list are valid and deliverable, allowing you to remove harmful email addresses before you mail. Upload files, up to 100,000 emails at a time. Drag and drop files in. Formats supported are .txt and .csv files For every email address on your list it will check the following: 1. Syntax Checking – The overall syntax of the email address is checked to see if its correct, eg. Does it contain an @ sign or invalid character. 2. Domain Checking – The domain is checked to see if it exists, and if so si it configured to accept email? 3. Mailbox Checking – The actual mailbox is checked against the ISP to see if it exists or not. Once completed you will then be able to view the results on colourful charts showing the percentages based on result with additional result information. Download just the OK ones, the BAD ones or the Unknowns, or all results in one file. Pricing options include monthly subscriptions or pay-as-you-use. Your lists are stored for up to 60 days, with the original filename preserved. An Email Verification API is also available which can be used to check email addresses in real-time. Some examples on how the Email Verification API could be used include: •	If you operate a lead generation web site, blog or forum make it harder for users to sign up with false emails. •	For e-commerce checkouts, make sure customers receive their order notifications by preventing invalid emails from being entered. •	If your call center takes email addresses as part of the customer contact data, real-time verification can greatly reduce the amount of incorrectly keyed emailed addresses. •	For software vendors where email addresses are captured as part of the on-boarding process, integrate full email verification as a value-add for your service. •	With the WinPure Email Verifer Pro API, there is no need any more to take incorrect email addresses and wait for them to bounce! Bouncelesss is designed to help companies get rid of hard bounces, verify email lists and give users an outstanding ROI. Correct.email is a simple, fast and effective email verification tool. Unless you use an email list cleaner, you’re never the wiser. eHygienics is a professional email list hygiene company located in beautiful Bend, OR USA. Since 2003, eHygienics has been removing all types of threats from subscriber and old email databases. eHygienics coveted platforms offer their clients the ability to scrub by themselves, programmatically or by their team. Email Verifier is a web based email verification tool for email address verification services at affordable prices. Email Verifier is also a 12 stage email verification process will ensure you get rid of all invalid emails and helping you boost your return on investment (ROI) for email marketing campaigns. G-Lock Software is a privately held company working in different programming environments. Has over 10 years experience of developing email marketing solutions and has used that knowledge and experience to create innovative, flexible, and affordable products that are used by thousands of businesses, large and small, in all parts of the world. Professional data hygiene service featuring a multi-layered approach to identify, validate and protect against a wide range of e-mail-based threats. MailGet email list cleaning system provides you a hassle free means to clean your email list by nearly 99.00%. Once your email list is cleaned, you will be able to get all the list of active emails which enables you to make big business conversions. MyCleanList.com is one of the oldest, best and cheapest email list cleaning service/email verification service provider. Verify your email list and make your old email list without hard bounce, spam traps, bad emails, disposable emails or any other harmful emails for your emailing practice with the best email list cleaning service. Pabbly is a recurring billing & subscription management software that automates the entire subscription billing lifecycle. ReachMail is a cloud based solution that enables you to create email and social media marketing programs. Redscraper offers powerful email marketing & lead generation software's which is loved by over 10000+ marketing and sales professionals around the world. Verifalia is a web-based email verification solution dedicated to helping you keep your email lists clean and accurate. Hi there! Can I help you find the best Email Verification solutions?